In 1501, the War of the Roses came to an end when Henry Tudor, soon to be Henry VII, defeated Richard III at the Battle of Bosworth. Henry VII was now King of England. It was assumed he would rule through the right of his wife, Elizabeth of York, Richard’s niece, but instead Henry surprised everyone by claiming to rule in his own right. When he began dating his reign to the day before the Battle of Bosworth, he suddenly gained the ability to decry – and punish – as treasonous anyone who served Richard to the end. The Tudors are perhaps the most famous and popular dynasty in English history. Certainly, Henry VIII and Elizabeth I, Henry VII’s son and granddaughter, are outsized personalities who unsurprisingly draw attention to the family, but Henry VII made both to of their reigns possible. Henry VII is frequently overshadowed by both Henry VIII, and by his Yorkist predecessors, the golden Edward IV and the much-maligned Richard III. However, he is the man who is able to set such a prominent dynasty of the Tudors on the throne through, doing so by controlling England with an iron fist; from executing those who were a possible threat to his dynasty, to his shrewd negotiations over the fate of Catherine of Aragorn after the death of her husband, Henry’s oldest son Arthur. 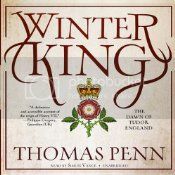 In Winter King, Penn lays out the history and significance of Henry’s rule with great clarity and insight. For the first time, for example, I understood the significance of and reasons for Henry VIII’s execution of Dudley and Empson upon his ascension – a fact that is much mentioned but rarely expounded upon, beyond the fact that they were perhaps the most hated men in the kingdom. In fact, all devotees of Henry VIII and Elizabeth I’s rules would do well to read this engaging history of the founder of their dynasty, as much done by Henry VII set the stage for actions they took during their own reigns. In The Winter King, we see Simon Vance at his best. He narrates at a good speed to keep the history moving, without going so quickly that it is difficult to keep up with the myriad of people, events, and significances. His voice is at once soothing and engaging, drawing the reader into the world of 16th century England. This is a fascinating and very well narrated account of Henry VII’s reign. Readers new to Tudor politics may want to stick to print, so they can go back and forth and remind themselves of who is doing what, but Vance’s narration is a superb way to experience Winter King for those with even a passing familiarity of the time. Highly recommended. I just finished listening to Winter King. Your review is excellent, and I agree Simon Vance was amazing! I love reading about the Tudor period and have listened to one audio from that time period. I don’t know much about Henry VII so this might be a good one to pick up! This sounds like on I would definitely have to listen to instead of read. 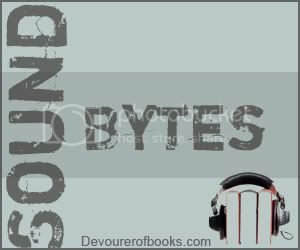 I would add my audiobook review this week but I’m saving them up for audiobook week. It seems to take me a bit longer than most to finish those. I’ve always been hesitant to listen to history and sometimes historical fiction. I tend to interrupt my reading of them with side trips online to look up facts. That’s diffitult for me witn audio since I listen to books only when I’m in the car. I’m pretty familiar with Tudor history so I may give this one a try. Besides, everyone seems to adore Simon Vance and I have yet to listen to any book he’s narrated. I usually prefer to listen to non-fiction but being unfamiliar with Tudor history I’m probably one who should read rather than listen. King Henry VIII is in my family tree, so I have always been quite interested in King Henry VIII history. I will have to check this book out. Thank you for the great suggestion! I listened to this last month, and I completely agree with your review. I think my only complaint was how little he covered how Henry came to be king. That portion seemed extremely brief, at least in audio.